In the sandwich world the foot-long is a designation generally reserved for cold cuts. The sandwiches that we really want a whole foot of rarely come in such a monstruous size. That is why this crazy lobster roll at Cull & Pistol in NYC strikes us as so brilliant. 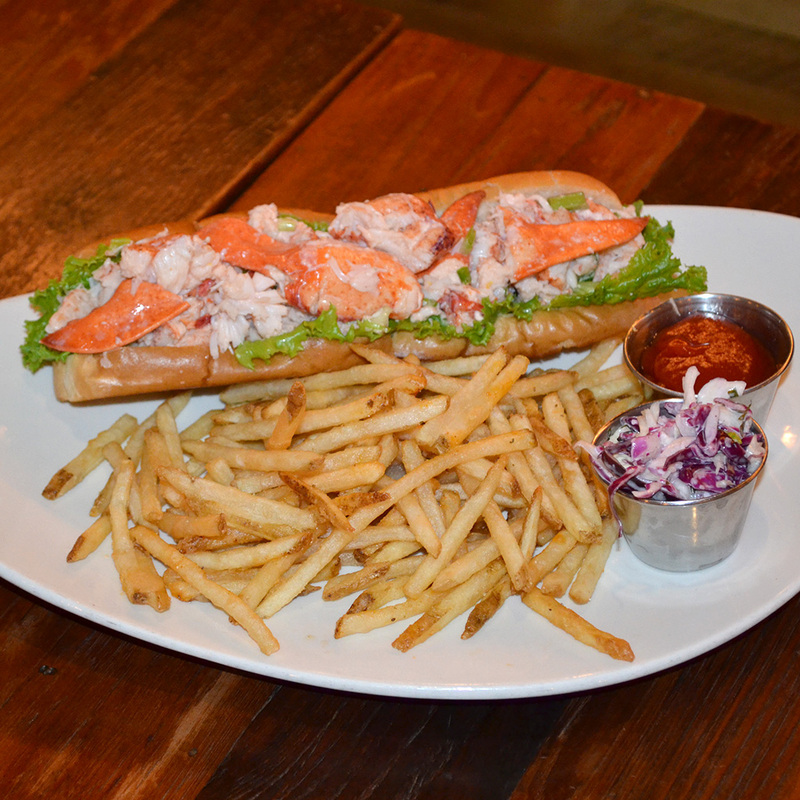 In anticipation of National Lobster Day on June 15 (we're sometimes skeptical of all these national food holidays but will always make an exception when lobster is involved), the seafood spot in Chelsea Market is bringing back its Footlong Lobster Roll. That’s right, a whole foot, which is probably three sandwiches' worth when you look at some of the dainty lobster rolls out there. The bread. There's only proper bread for a lobster roll, and on this, we are firm—a split-top New England hot dog roll, toasted in butter on both sides. The filling. Cull & Pistol gives you a choice here. You can go Maine-style—cold, with just a little mayo and scallions. Or you can go Connecticut-style—warm with butter, lemon an kewpie mayonnaise. There is no wrong answer here. Where to get it: Cull & Pistol, the sit-down spot from mainstay New York seafood market The Lobster Place. It's a one-day only special for Monday, June 15, available at lunch and dinner. A 12-incher will cost you $40, but it comes with fries and—let's be honest—a normal human will have a hell of a time finishing it. If you do? We salute you. You've officially won National Lobster Day.